This is really helpful, whenever you need any kind of repeat-action on your animations. 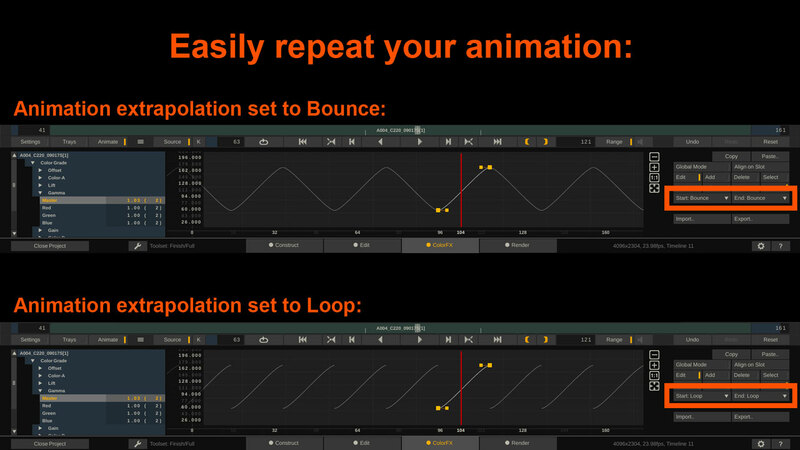 By setting the start and end extrapolation to Bounce, or loop you can have SCRATCH automagically repeat the given animation. Even better – if you now modify the initial animation, these changes will also ripple down to the extrapolated animation. A pretty elegant way to manage repetitive animations 😉 .